This features five high resolution die shots of a Motorola 6800 chip as we remove layers of material one by one. Each of the die shots is aligned, so by loading them into a paint program on different layers, you can flip between them to get an idea for what's what. We have a similar breakdown for a custom Apple Lisa chip, a 341-0064A, which is actually a National Semiconductor COP421 customized for Apple. 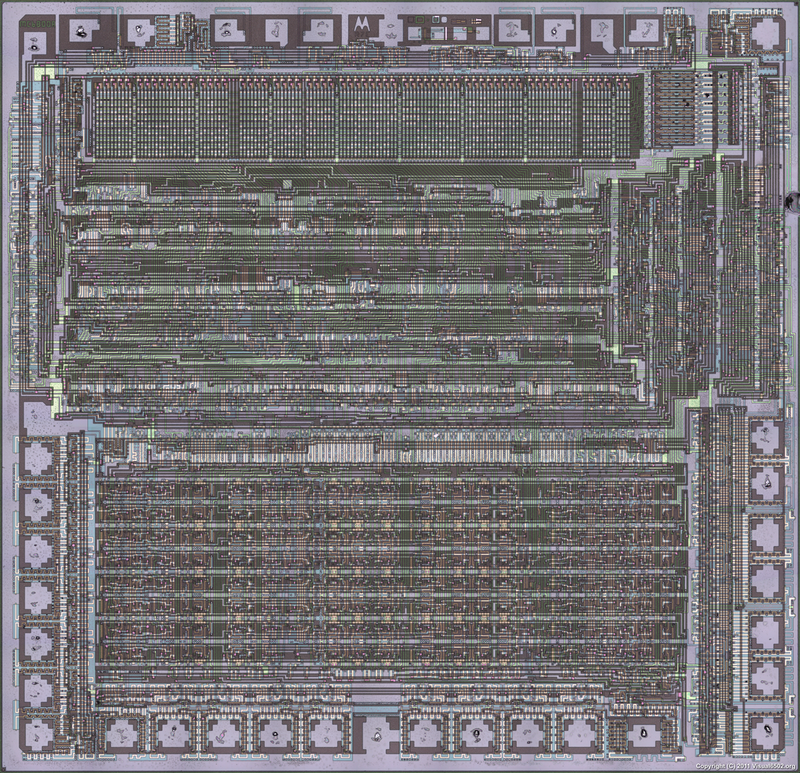 A gate-level model of this rare chip will be a great asset for computer history.